Come along for this feature rich tour of the historical Newport Pagnell. 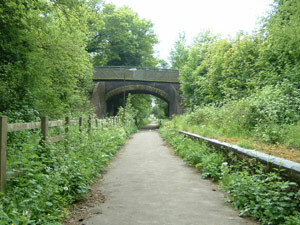 The first part of this walk will take us along the old railway line, closed in 1964 but now used by walkers and cyclists alike. Continuing along the track we will arrive at the Black Horse for some yummy pub grub! The walk will continue along beside the grand union canal before arriving at a 12th century old church, St Peters. The walk will be approx 10km. Meet at the NatWest bank at 11:30am on Sunday. This entry was posted in Blog, Local walk, News, Past events, Walks and tagged Newport Pagnell.